The great Indian six yards – the saree is attire most authentic and traditional. It’s amazing how all these years; it has remained a conqueror of hearts and never lost to the variety of other dresses ever. And when it comes to fabric, silk remains the queen forever. This is why every Indian lady has at least one in her closet, maybe for an occasion or even for everyday wear. Celebrating the glory, let’s discuss some tips on how to pick and wear this beautiful attire. #Small motifs and borders are your best bet. #Choose darker and bolder tones over lighter and paler ones. #If you have a heavier bottom, do not fold the cloth into mermaid cuts. 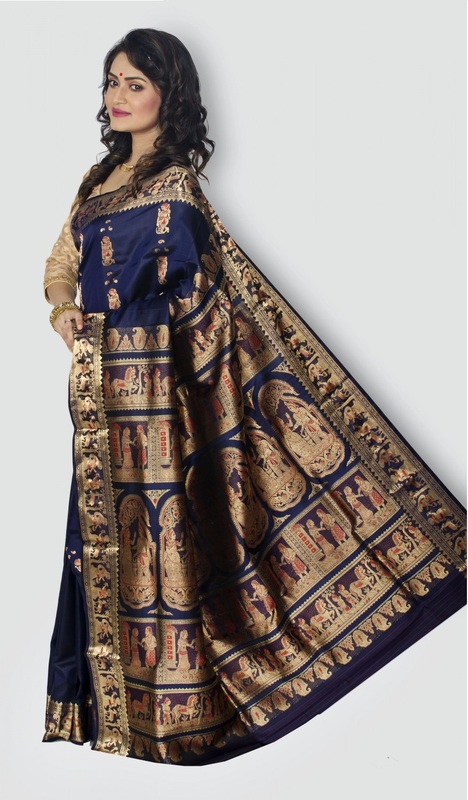 #If you have a heavy bust, choose a sari with intricate work on the pallu. #Wear long-sleeved blouses and non-flare petticoats. #Because you need a fuller look, choose saris with large borders and bigger motifs. #Lighter colours would suit such body types more. #Attires with delicate work one all over the body also serves the purpose. #Those with petite forms always opt for half-sleeved, sleeveless and backless blouses. #You could use a flared petticoat to add some volume. #The best silk sarees for tall women are those that come with heavy borders. #They should be devoid of big size prints, large motifs, and heavy embroidery, however. #No colour restrictions for those with taller forms; they can choose any. #But, no flared petticoats, please. #Your options for blouses are also varied; long-sleeved to sleeveless, you can pull off any. #Never, ever choose a sari with heavy borders; that’s a fashion faux pas. 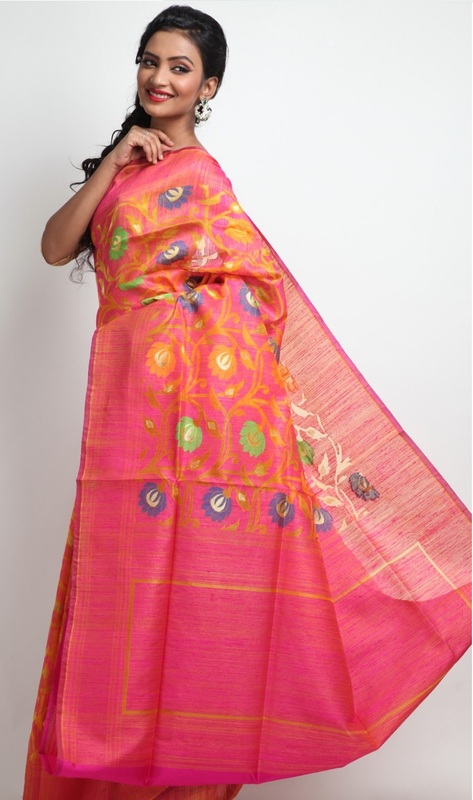 #Also, the prints and motifs should be of optimum size – neither too big, nor too small. #Sleeveless blouses are your thing, ladies; they make your arms look longer. #Choose darker and brighter colours always. Although this sounds more like a contrary, darker colours should be chosen for dark complexions. Yes, you should go for blacks, maroons, reds, purples, and the like. The rest, of course, depends on your gait and body shape. Such complexions welcome any colour with ease. If you have a lighter skin colour, you can pull off the lighter shades as well as the bolder tones with utmost panache. Pinks, oranges, yellows, whites, blues, greens, blacks, and reds – every shade is your shade. 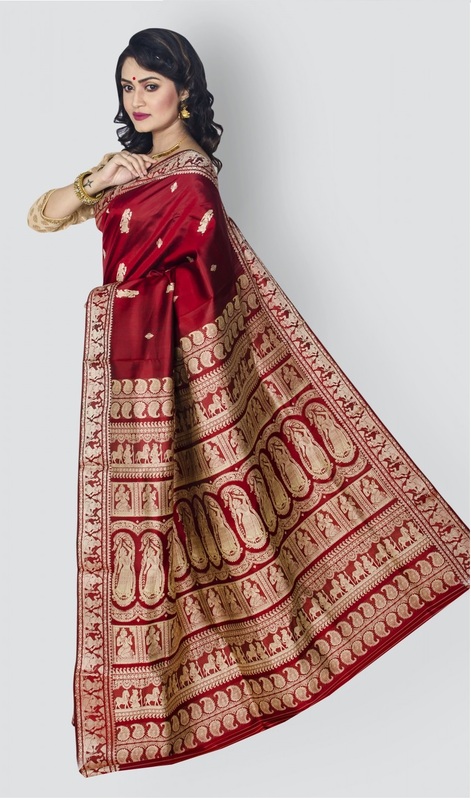 #For Parties: Keep the pallu fallen by pinning it up at the tip of your shoulder. It would help you have a graceful look. 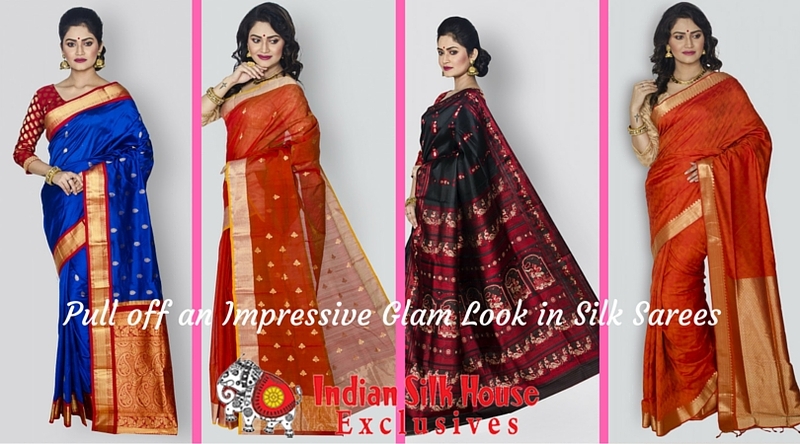 If you are about to buy silk sarees online such functions, make sure they come with heavy motifs and borders. #For Office Wear: Never let your pallu hang loosely. Pleat it into neat folds so that you can assume a formal look. Never go for dark colours or very large motifs and borders. Yes, with all these tips, you need to experiment a little to realize what suits you best. There are so many things under consideration – your height, skin tone, body shape, and last and most importantly, the purpose. Well, with a little smartness you’d undoubtedly be selfie-ready in a glamorous silk saree. What’s your opinion?